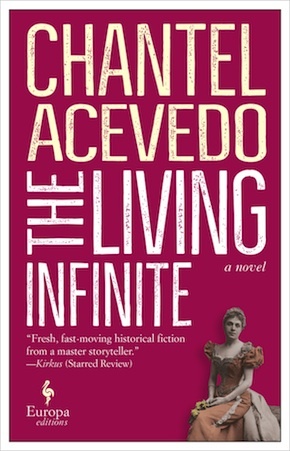 The ‘living infinite’ of the title, a driving force at the centre of the real existence and of the multitudinous lives of the mind of Acevedo’s characters, is remembrance – a faculty as miraculous, vast and tinged with eternity as it is inchoate, self-deluding, mystical and perilously indecipherable. The image is Jules Verne’s, intended to conjure up the sea as tangible entity and as Platonic Idea, as the space, real and transcendental, where his Captain Nemo has found both being and nothingness, simplicity and absolutes, total freedom and a terrifyingly majestic autocracy. In her dramatisation of the early part of the life of Infanta Eulalia of Spain, Acevedo thrusts her characters, real and fictional, into a similar liquescent state of power and impotence, dream and pragmatism, hope and ambition, innocence, despair, deceit, modernity and superstition. This is a carefully crafted, precisely weighed, languorously written narrative, with a poise that does not efface harsh realism or a very delicate human dignity. Eulalia certainly cut a remarkable figure in her time. The youngest child of Queen Isabella II, she forged for herself an image that was as desolating and intense as it was mesmerisingly romantic in its daring and audacity. Impatient with “what we called, jocularly, between ourselves, the singeries (monkey tricks) of royalty” as she writes in Court Life from Within, Eulalia would become an Amazon princess incarnate, ferocious and brilliant, ecumenical and reactionary, visionary and alarmingly caught up in the most appalling ideologies available to her at the time. More than an enfant terrible, Eulalia might be called the abortive union between a regime and way of life as it could no longer be and a modernity inebriated by its own ruthless potentiality. Somewhere at the heart of such a symbiosis of opposites lay an ordinary human being seeking a voice and a room of her own. That shadow of fragility and yearning is Acevedo’s Eulalia, as she would have perhaps liked to be remembered, at least in part. A trailblazing, queenly femme fatale, astounding the world with her radicalism, socialism and feminism, her radiant beauty and remarkable mind, her regal simplicity. Acevedo is blessed in her choice of a character – Eulalia herself wrote prodigiously, scandalously, provocatively, defiantly, and very engagingly. She has left behind a corpus of echoes and resounding clarion calls as to who she was or wanted to be. Her first foray into writing, Au Fil de la Vie (1911), is an enchiridion of the good and happy life with the patrician diction of Hadrian and the indulgent Stoic underpinnings of Epictetus, written under the auspices of Montaigne, La Boétie, Emmerson, Nietzsche, Don Juan, Ninon de Lenclos, Strindberg and Schopenhauer, Dr Nicati and Sainte-Beuve. Starting with the axiom that “one truth subsists, that life is worth living and that in order for it to be a happy one, one must know how to draw up a tally of relative happiness” Eulalia proceeds to a determined examination of such aspects of the vita beata as honesty, friendship and marriage, family as well as divorce and the necessity and influence of religion, to “the complete independence of women”, class equality, socialism, morality, the “fear of ridicule” and “dangers of excessive analysis”. Hers is a proto-feminist questioning with a very masculine impetus and rigour, a startling game of thrones between radical new thinking and a staunchly conservative infrastructure of order and values, prerogatives and a realistic sense of things. The book was published quasi-anonymously, under the alias of Comtesse de Avila. The I is absent, although the ego of the thinker is almost delirious in its self-assurance. Her writings, we are told, were most appraisingly received in their time, and yet none of these more outspoken, political and ideological aspects of her myth and true person are remembered when Eulalia de Borbón is recalled from relative oblivion. 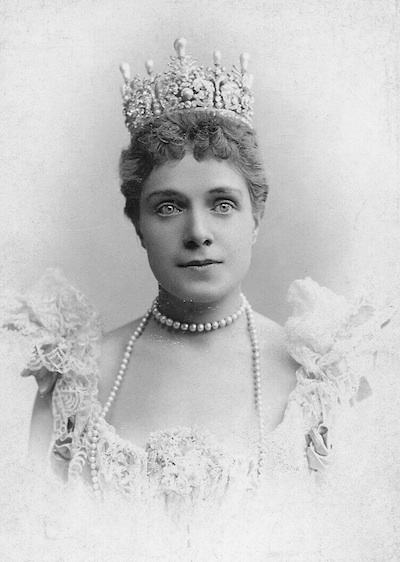 Eulalia is invariably the mysterious, perhaps illegitimate child of Isabella II, the rebellious princess, the maverick aristocrat, the feistiest of the many feisty women in her bloodline, her class and her generation. She is the high-born who yearned for simplicity and for the touch of the ordinary folk. Acevedo taps into this aspect only of Eulalia’s persona, which emerges colourfully and evocatively in The Living Infinite; she resurrects her heroine with gusto, poetry, a strong sense of storytelling and a fine flair for the inevitable sadness and tragedy of life, yet also its happiness, that state of adequate bliss Eulalia herself searched for. Skilfully remoulding the style and recollections in Court Life from Within, Cartas a Isabel II and Memoires (1935), Acevedo’s Eulalia, and her “milk brother”, acquire a Velasquez-like richness and texture, depth and mystery, a precarious, vital balance between faith and nihilism, between the past and a present too ambiguous to be credible or tangible. A double tableau emerges, of the twilight of a certain order and of an emerging society, both endowed with a fair amount of romanticised exoticism and arcadianism: in the portrayal of Eulalia’s rebellion against institutions, conventions, the duty of one’s position, and in the contrast between a traditionalist Spain, caught up in its civilising culture and socio-political structures, as juxtaposed against a Cuba or an America of natural instincts, free movement, individual empowerment, spontaneity, promise, ambition and unconditional freedom. Acevedo’s Eulalia is a thoroughly modern princess, yearning to be a woman, a writer, an individual in a fast evolving world. She yearns to escape the embalming vaults of a royal cosmos where only the principal actors have a meaningful role to play, while remaining profoundly maternal and attached to the purpose of a future for others of her kind. She is also the heir of regal rights and tacitly acceptable indulgences, where the life and individuality of others is as invisible as it is essential for this vicarious flirting with the ordinary, the grounded and the real. And this is Acevedo’s particular strength: to immerse us in the pull and unquestionable fascination of Eulalia’s individual person and position, her milieu, her time, the mark she left on some of her world, while at the same time confronting us with a counterfoil life that desires, almost in perfect symmetry, all that Eulalia would like to stand for, yet can never quite belong in her realm. Tomás, the milk-brother, is the real humanity Eulalia’s grand scheme and vision would always leave out; he is, perhaps, the living infinite of memory, promise, commitment and faith that she would be unable to attain. Acevedo has written a novel about a first book which, if written, was never published, leading instead to a series of other works, each as contradictory, ambiguous and unsettlingly unflinching as it is daring, resonant, absorbing, the distillation of a moment and a gaze in time, and yet beyond temporality. She has created a gauze-like tapestry of lives, very poignantly and at the same time with careful obliqueness, in order to question and conjure up worlds and possibilities, as well as infuse both the real and the fictional with interest and significance. Sometimes her images and metaphors, beautiful and skilled though they are, outnumber and clog a more vital prose, yet this highly pictorial, rich retracing of an era, a voice and its counter-echoes, has both charisma and enticing darkness. Chantel Acevedo was born in Miami to Cuban parents. She is the author of A Falling Star, Love and Ghost Letters, winner of the Latino International Book Award, Song of the Red Cloak, and The Distant Marvels, a finalist for the 2016 Andrew Carnegie Medal for Excellence in Fiction. 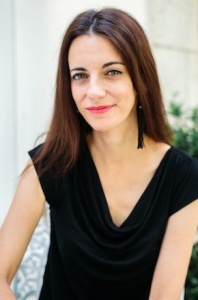 She is an Associate Professor of English in the MFA Program at the University of Miami. The Living Infinite is published by Europa Editions in paperback and eBook.